Cat Burglar Black sequel concept art: Haunted! 10" x 11" Watercolor & ink on watercolor paper. 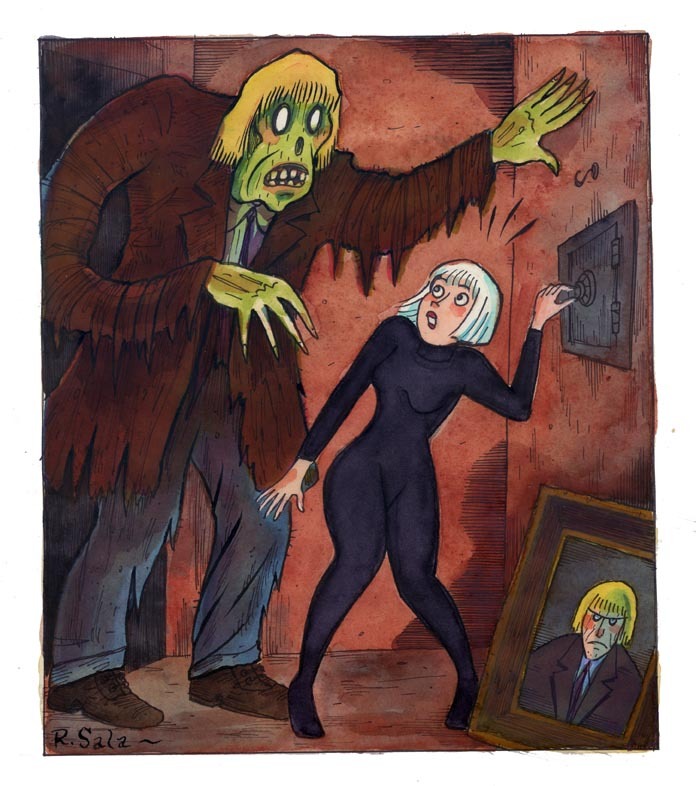 Conceptual art for potential sequel to the graphic novel Cat Burglar Black: Never steal from a haunted house!